Forming part of India's Mahindra Group, Tech Mahindra is an IT service provider with an interest in developing driverless technologies. 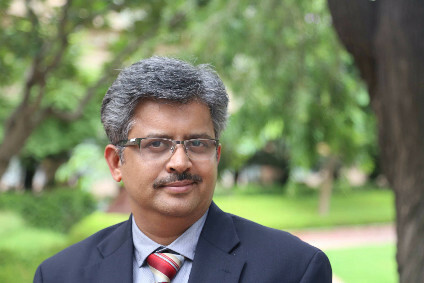 Matthew Beecham spoke to Karthikeyan Natarajan, global head of engineering and R&D at Tech Mahindra to learn more about its cyber security and connectivity solutions. Can you provide some background to Tech Mahindra? We are a USD4.0 billion company with 107,100 professionals across 90 countries, helping over 800 global customers including Fortune 500 companies. Tech Mahindra is also amongst the Fab 50 companies in Asia as per the Forbes 2015 List. We are a partner for leading, global automotive OEMs and suppliers delivering engineering and IT solutions. Could you give us an idea of the size of your team working on driverless technologies and the type of technologies under development currently? We have over 200 people working on driverless technologies. Among other things, we are focusing our efforts around Advanced Driver Assist Systems (ADAS). Technologies such as automatic parking, 360-degree view cameras, forward collision warning systems will take autonomous driving a step further. We are also working on other critical features like lane departure warning, traffic sign recognition and blind spot monitoring. OEMs say autonomous cars will be with us within a decade. How will this impact Mahindra's software and data business? Our engineering and IoT [Internet of Things] businesses are major players in the market. We understand the automotive businesses and the engineering that powers it. Additionally, our roadmap focuses a lot on digital, 'big data', analytics and robotics. So we are well poised to contribute significantly to the evolution towards autonomous vehicles. A while ago, IT in cars was seen as more of an enabler but nowadays viewed as a core element, linking the home and personal devices. What opportunities and challenges does this present Tech Mahindra and other Indian companies? India has traditionally been the software services destination for the world. The connectivity we are seeing today that is disrupting even the automotive segment is a big opportunity for Indian IT. The automotive segment must exploit the expertise that companies like Tech Mahindra have gained from decades of experience working with CSPs [Cryptographic Service Providers], CTPs [Communications Technology Providers], CE [Customer Experience] device makers and others. Given the growth in connectivity, automakers are facing similar challenges to that which the consumer electronics industry have faced over the past decade. Yet the auto industry does not have the flexibility of beta testing. What's your view on the how the software to enable connectivity will evolve? We are talking about two industries with distinctly different approaches to product development and launches. The CE industry is much faster with frequent refreshes and launches. The cycle for an automobile maker is much slower with more regulatory challenges and functional safety needs. It will be interesting to see how this will evolve. The industry may start needing software and engineering System Integrators, Tier 0.5s, who have the expertise to bring together diverse embedded systems, software and devices. Maps are key to driverless technologies, helping a driverless car determine exactly when it should steer, accelerate or brake. Yet we hear that a lot more needs to be done to make maps more accurate, eliminating the degree of error. What's your view?